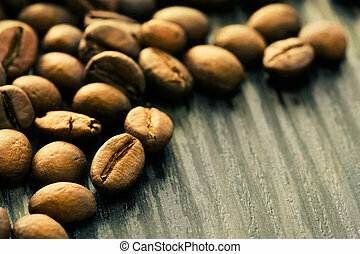 Food design - coffee warehouse. 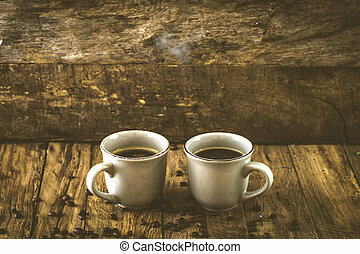 coffee cup with black coffee and sacks of coffee in the background. 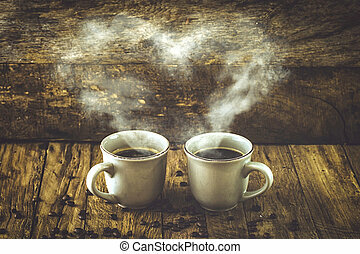 coffee type on wooden background. 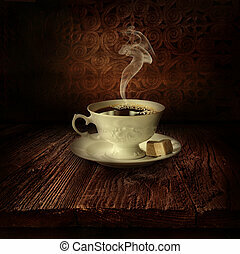 Coffee design - Black coffee. 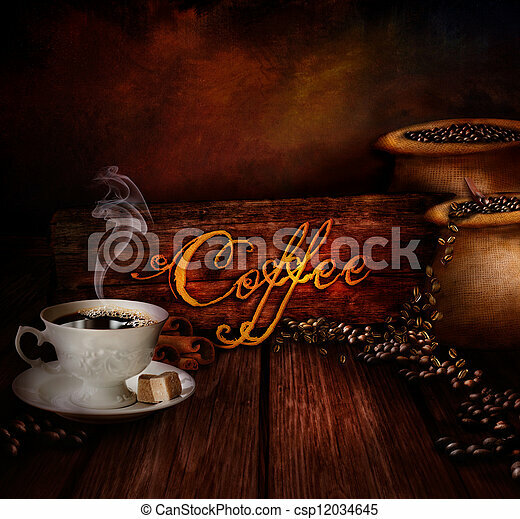 Background with Wooden table with wooden wall with vintage clock close to midnight. 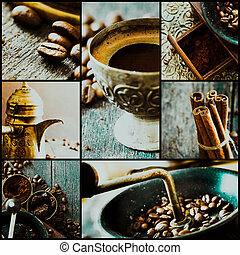 Collage of coffee images. 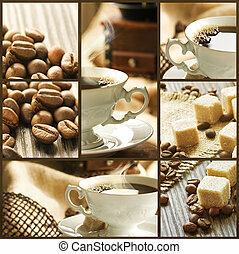 Coffee antique grinder, coffee beans and sugar cubes.